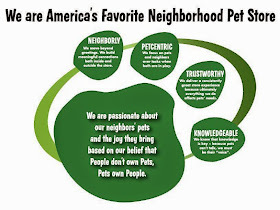 A big PAT ON THE BACK to Jammie, Groomer in Okemos, MI Pet Supplies Plus, for saving a neighbor's pet. When a Pomeranian named Scamp collapsed on the grooming table, his groomer Jammie, reacted quickly putting her 25 years of life-saving experience as a medical assistant and EMT to good use. Scamp was brought in by his owner Diane to be groomed at the Okemos Pet Supplies Plus on February 18th. Groomer Jammie had just finished bathing Scamp and had placed him on the grooming table when he spun around and collapsed. His tongue was hanging out of his mouth and turning blue and his eyes had rolled back into his head. Jammie quickly took Scamp out of his harness and began chest compressions on the 9-year-old Pomeranian. 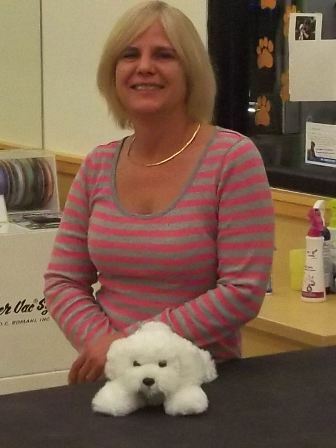 While she performed CPR she alerted another groomer and told them to contact Scamp’s vet and call the owner. For Jammie it was just second nature. “I wasn’t scared or anything,” she said. “I knew what you had to do.” Jammie had received canine CPR training during her schooling to become a groomer but in addition administered CPR to humans countless times in her previous career as a medical assistant and EMT. In less than two minutes Jammie had successfully revived Scamp. She then drove him to his veterinarian where she met up with Hallisy. An examination from the vet led to the discovery that Scamp suffered from congestive heart failure and an enlarged heart. Scamp is now on medication to help with his condition and the day after his life threatening collapse he was back to hanging out with his family’s two cats.